It is time for the next CASE Study challenge with our muse Jennifer Mcguire. My first thought was to use a border stamp. I love how Jennifer used just one border stamp to create this beautiful design. I like to take opportunities like this and utilize stamps that I have never used before. The sentiment is another stamp that had never been inked before; it is from Clearly Besotted Stamps Many Thanks set. Hope you can join us this week. Thanks for stopping by! I always look forward to your cards and this one is no disappointment….its fantastic!! Such a wonderful idea and love all the different colours. Gives me so many ideas to try, so thankyou for sharing your work. Can’t wait till the next one!! Oh wow, oh wow, talk about enabling, I love this card, and all the stamps!!! Stunningly awesome and CAS and bright and……………. I need to stop gushing!! PINNING it now for later oggling!! wonderful take on the inspiration pic…love the rainbow flags. Very beautiful, Tasnim. Beautiful colors and perfect stamping, as usual… you never disappoint! Fantastic! I REALLY Love this!!!! Gorgeous take on Jennifer’s card! Thanks for the shout out:) I agree with Kelly…it’s just not human to post this many wonderful cards in a row!!! 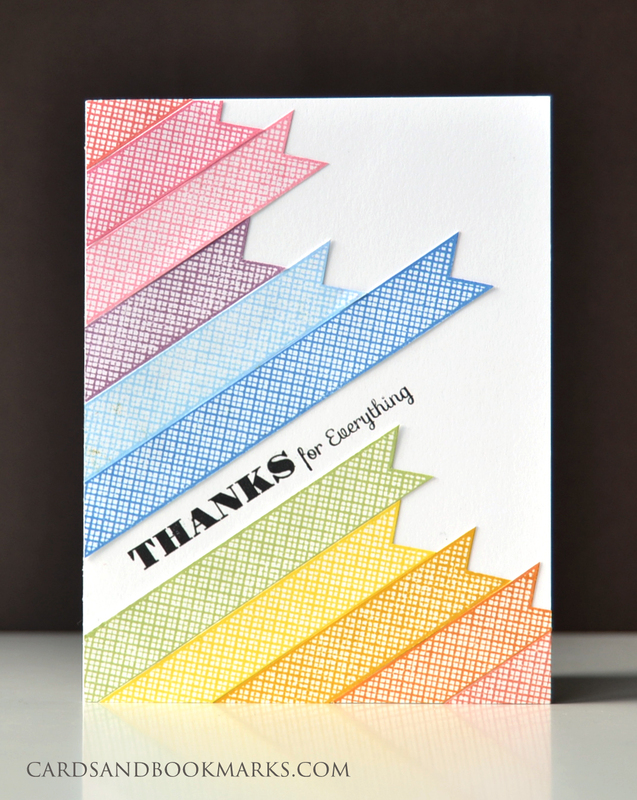 Great card Tasnim, so bright and colorful, yet CAS at the same time…I might have to CASE this card soon! I love your take on Jennifer’s card, Tasnim! Your banners are so pretty, and the repetition is fabulous!